"Be prepared, My children, make ready." “Saint Michael runs across France out to its boundaries. Foreign power, keep quiet, do not come over; I bring your steps to a stand. I will confound you when you will be ready to set your foot upon the land of France. “Come out, chastisements, enclosed like behind a barrier. Come out, rainfall of fire, thunder and flames! 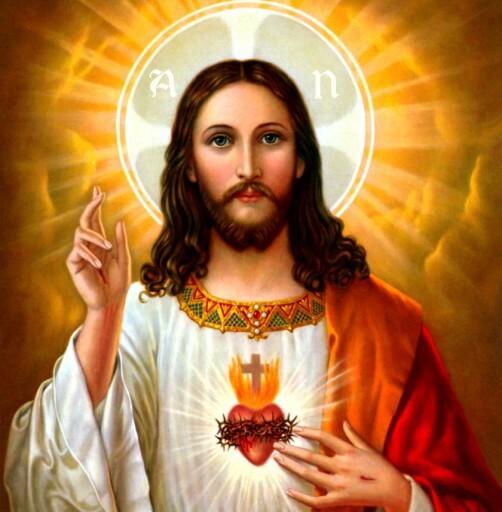 Fire-hail, proceed to the earth to harvest the enemies of My Sacred Heart; scatter fright and consternation all over. I want to destroy wickedness. I want to depopulate France and I will restock her over again. This brief prophecy is like a magnifying glass, bringing into sharp focus a specific order for three future events. (The Sacred Heart of Jesus is speaking to Marie-Julie Jahenny). First, there will be a “foreign power” which will attempt to invade France, but who will not be permitted to do so. Then the “rainfall of fire, thunder, and flames” will fall upon earth. It will “scatter fright and consternation all over” in an attempt to “destroy wickedness” and “depopulate France” of the enemies of Christ and His Church.